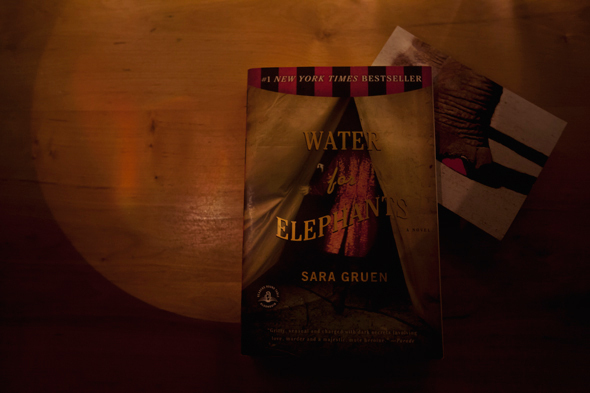 Currently reading: Water for Elephants by Sara Gruen | go do. I just recently finished reading Water for Elephants by Sara Gruen. And while I’m not really interested in circus life I decided to give this one a try. Partly because I heard it was good and I liked the cover image and partly because I enjoy reading a book before watching the movie (I’m really late on the bandwagon, I know …). It’s a story about a young man, Jacob who needs to start a new life and somehow ends up in a circus where he falls in love with Marlena. The beginning really gets you into the story immediately, I love when an author does that. The story itself is nice, though the end was a bit cheesy for my taste. But overall I enjoyed reading this book knowing that Sara Gruen did a lot of research and that everything easily could have happened in real life. Did you read the book or watch the movie? What are your thoughts on either of them?